Truth Gaming, LLC has done it again. 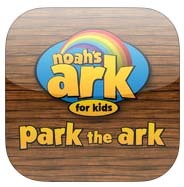 Not only is this app free, but it is hands down one of the most creative Christian apps I have got my hands on – literally: you use your hands to rotate your iPad to steer Noah’s Ark. 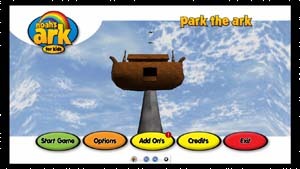 This engaging Christian app, Park the Ark Sight Words Quest, combines everything you would want to be able to give your children a combination of tools that allows for them to stay centered in Christ, learn spelling, have fun with an engaging game play as well as incrementally enhancing the challenge through each level. Check out this YouTube video for everything you would need to know. It’s breathtakingly creative and I highly recommend this app. Add-ons are available, and additional expansions are coming soon, so this app will be far from static but rather an ongoing experience with an app centered on biblical references and English skill sets! Download on your iPad here.